SMoA is pleased to exhibit two new works by contemporary artist Zac Benson, including a site-specific installation created solely for Beach Gallery. Benson’s work deals with the relationship between his personal faith and engagement with society, while also challenging the viewer through manipulation of scale and form. 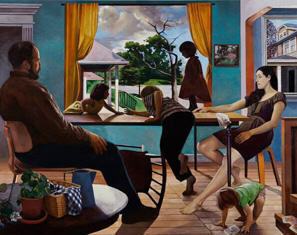 Benson holds a BFA from the University of Tennessee, Knoxville and an MFA from the University of Maryland. He is currently an Assistant Professor of Studio Art at Cedarville University. East Meets Midwest II brings together an impressive array of artists from two geographically disparate art collectives, the East Coast Group and the Midwest Paint Group. Following in the tradition of 20th Century modernist painting, both groups work in Post Abstract Figuration, a movement focused on depicting things, objects, places, and perceptions through mark-making, form, rhythm, tone, and structure. Featuring 28 artists and more than 120 works, this exhibition encompasses the vitality and inventiveness present in 21st century painting. The Dome: Springfield’s Center for Innovation, and Project Jerico at CCJDC, both hosted a project based learning program entitled “Artful Exoplanets: Creating Imaginary Worlds.” The curriculum was created by the Springfield Museum of Art and funded in part by the Smithsonian’s Universe of Learning Grant. Students learned about exoplanets, space visualization, and computer coding through online NASA portals and the YouthAstronet portal. This led to their creation of colored photographic images of the cosmos, sculptures of imagined alien life, and watercolor paintings of the exoplanets they live on. 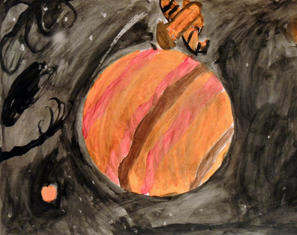 This online exhibition features the watercolor paintings created by the middle school students at The Dome and high school students at CCJDC. Born in Columbus, Ohio and currently a resident of New Carlisle, Ohio, Jean Koeller took her first painting class in 1979 and hasn’t stopped painting since. Her work is represented in museums, corporate collections and institutions. 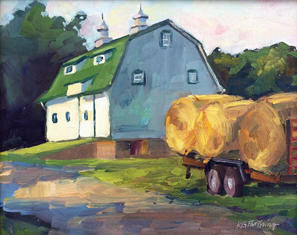 She also taught painting and drawing from 1988-1993 for many of the colleges and universities in the immediate area. She worked as the Visual Resource Curator for the University of Dayton from 1992-2007 and taught in their study abroad programs in Italy and France. Jasmine Owens’ photography explores the complex subject of self-identity and its nature by capturing uniquely intimate moments of scrutiny and isolation. She uses household items and staged lighting as an attempt to exemplify a new and personal perspective for the viewer. Vain Pretension features a series of eight photographs that examine the struggle that often accompanies finding yourself, as well as Owens’ personal collection of antique photographs ranging from the Victorian Era to the early 1930s. Though the antique photographs and Owens’ own work appear very different, both collections examine a different side of self-identification. Owens is a rising senior at Springfield High School, and is currently the Curatorial Intern for the Springfield Museum of Art. Doug McLarty’s photos employ eye-catching botanical designs, unusual floral combinations and whimsical creations to help us examine and enjoy the rich diversity of nature. 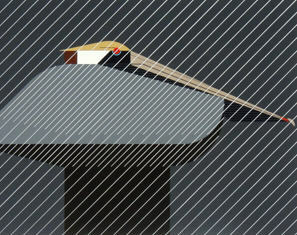 He makes use of digital scanning technology to reveal unique patterns and perspectives for the viewer. For the past 40 years Doug McLarty has photographed landscape and botanical images throughout Europe, the Caribbean, Florida and the western United States. Much of his extensive portfolio was created using traditional black and white film capture and darkroom processing techniques. 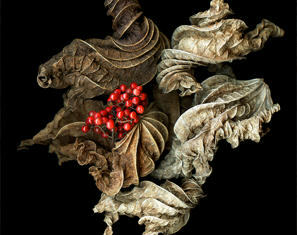 McLarty gradually moved into digital photography and now makes digital images exclusively. Doug credits British sculptor, environmentalist and photographer Andy Goldsworthy, glass artist Dale Chihuly and architect Frank Gehry for inspiring his current botanical photo series. Doug McLarty resides in Xenia, Ohio. 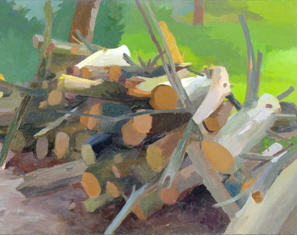 The Ohio Plein Air Society artists focus on painting, drawing, and other art forms completed on site, from direct observation, and outdoors. Their admiration for the outdoor world leads them to explore the diversity and uniqueness of Ohio’s landscapes, cityscapes, lakes, rivers, and streams through art. The Farm will include recent works inspired by Ohio’s varied farm lands – from vast expanses of crop fields to feisty urban gardens. 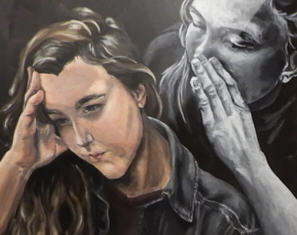 For this traveling exhibition, students from Health and Art classes at Yellow Springs High School collaborated to create an educational exhibit that informs viewers about mental illness. Students worked to change mindsets, confront stereotypes, build empathy, and reduce stigma through their presentation and physical display. They were empowered with knowledge through first person accounts of those directly impacted by mental illness. This included insights from community experts in the mental health field and courageous individuals diagnosed with a mental illness willing to share their stories. With this information students formulated investigation questions that worked to communicate a message of empathy, support, or stereotype reduction. 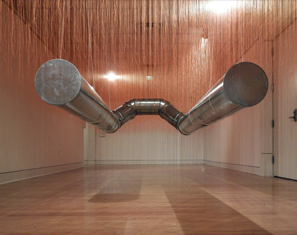 SMoA is the second institution to host the exhibition as it was previously installed at the TEJAS K-12 Gallery in Dayton, Ohio. The exhibit is intended to travel to other local establishments working to convey a message of support, while reducing stigma commonly associated with mental illness. Featuring more than 80 prints, as well as original paintings, this exhibition provides a comprehensive look into the quirky, whimsical world of artists Charley and Edie Harper. Charley Harper is world famous for his signature style of ‘minimal realism,’ capturing the spirit of his subjects with elegantly spare visual elements. His work is nature-based, and over his career he created pieces for many environmental organizations, including the National Park Service, Everglades National Park, and the Cincinnati Zoo as well as a groundbreaking series of illustrations for Ford Times. Edie Harper worked in several mediums, including photography, sculpture, textiles, and jewelry. This exhibition includes examples of her prints, which also focus on natural subjects, particularly cats, as well as scenes from Biblical stories and childhood memories. This exhibition provides a unique opportunity to view both of the Harpers’ works together, providing a truly immersive, curiosity provoking experience. 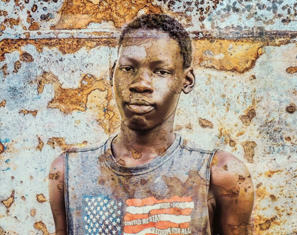 Now in its 72nd year, Springfield Museum of Art’s Annual Juried Members’ Exhibition continues to grow – not only in the number of participants, but in the quality, diversity, and breadth of mediums represented. While the works vary greatly, all embody the artistic spirit of experimentation, freedom of expression, and exploration of medium- and the use of color this year, across the board, is phenomenal.